THE BIG DEBATE | Securing the prosperity of the West Midlands: Where to from here? How do we ensure the West Midlands is at the heart of industry in twenty first century Britain? It is the big question that our top panelists will be discussing at this morning&apos;s breakfast briefing from the Birmingham Hippodrome. Birmingham Post & Mail editor-in-chief Marc Reeves will be hosting today&apos;s debate - posing questions to our region&apos;s business and political leaders. We will be speaking to West Midlands Mayor Andy Street about how new regional powers could now help us shape our future - and how we can work better together as a community. How do we shape our region&apos;s future and what support is available to businesses and community stakeholders? Follow updates below and join the debate on Twitter using the #MidlandsGrowth and #TalkingMidlandsSkills hashtags. This event is brought to you by the Birmingham Post & Mail and Lloyds Banking Group. A few final thoughts from the breakfast debate here at the Hippodrome. We’ll leave the final words to our hosts. And important words they are too. "Getting good and appropriate role models in front of kids"
We need a joined up approach to creating the West Midlands that we want, says West Midlands Mayor Andy Street. More specifically, the former John Lewis boss insists advanced manufacturing and construction are where we need to start. At the same time the Mayor says it is digital that can help people realise what is on their doorstep. Echoing Martin’s call for help to those “hard to reach” people across the West Midlands, the Mayor says 1-2-1 work is essential to help tailor skills training to people and business needs. "Should we as a bank be doing more?" Martin Dodd is Lloyds Banking Group Ambassador for the Midlands. Explaining what Lloyds are doing for the West Midlands, Martin has described how the bank have been working to help individuals and businesses in the digital world. A team of 3,000 are working to get people the skills they need - starting with the basics, how do you get online? How do you buy something online? Before progressing to tackling how to grow a business’s online presence and build its digital identity? Around 30 people came through the bank’s scheme to empower the “less-privileged people” in our region with skills-training and opportunity. But Martin still wants to know what more Lloyds can be doing for the West Midlands. HS2 is often sighted as a game changer but what about it’s legacy? What long term impact can the line have? For Clair Mowbray the legacy has to bring opportunities to people in the West Midlands. We have this whole raft of adults who are wanting to retrain who are wanting to get back in the employment so how do we get them the skills they need? But education funding in the UK often starts and ends at young people. Before becoming Mayor, Andy combined a career with John Lewis, Britain’s most successful workers’ co-operative, with a host of high-profile economic development roles, working with local and national government. Starting on the John Lewis graduate scheme, Andy rose through the ranks to become managing director, overseeing one of the most successful periods in the company’s history. He was also chair of the Greater Birmingham & Solihull Local Enterprise Partnership (GBSLEP) between 2011 and 2016, helping to build the relationships that have underpinned the economic growth of the region. Additionally, he has been lead non-executive director for the Department for Communities and Local Government as well as a member of the Prime Minister’s Business Advisory Group. Martin is Chair of the Group’s Midlands Executive Committee, which is responsible for activating the Group’s Helping Britain Prosper Plan in the Midlands. He is also Managing Director of Connect, Lloyds Bank’s group wide telephony business. As part of the Group’s Helping Britain Prosper plan, the Executive Committee in the Midlands aims to collaborate with local leaders in the private and public sectors to drive forward the key priorities for the Midlands region, with particular focus on education, supporting business and the housing sector. Clair was appointed Chief Executive of the NCHSR in October 2016, prior to the two colleges opening in Birmingham and Doncaster in September 2017. Having previously held senior skills development roles at the Learning and Skills Council and the Government and Public Sector Advisory Team at PwC, Clair has a great deal of experience bringing together economic need and skills demand with the supply of education. Clair’s own route through education was also non-traditional, moving between academic and vocational routes. She is passionate about putting the NCHSR at the forefront of skills training for employers and individuals in the rail sector. He previously held the position of Deputy Vice-Chancellor (Education) at the University of Western Australia from January, 2013 to August 2016. Professor Cameron has also previously held the position of Deputy Vice-Chancellor (Resources and Infrastructure) at UNSW, and several senior corporate positions in the IT and telecommunications industry - including at Sun Microsystems Australia, Alcatel Australia, COMindico, and Telstra. AMTC is backed by national and local government and Lloyds Bank and supported by many leading UK-based manufacturing businesses. 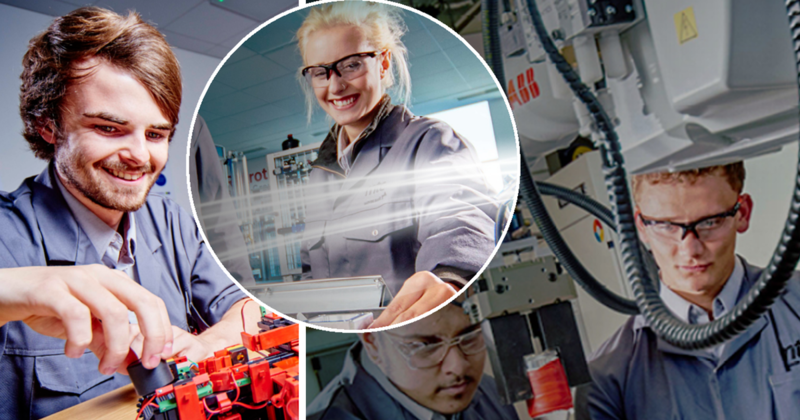 Its mission is to redress the balance of skills and knowledge and provide UK manufacturing with the most talented young people, future-proofed in the latest technology and with creative minds that make them industry-ready to add value and make a positive contribution to the UK’s high value manufacturers. Christian Warden was appointed Head of Skills Development in July last year. Can the West Midlands be at the heart of the new industrial revolution? Good morning, thanks for joining us at today’s big breakfast debate. The Hippodrome’s fine coffee juice is flowing and the debate almost ready to begin. The West Midlands is an exciting place to be right now, with money flowing into the region and fresh opportunities appearing - how do we shape our own future? Our panel of our region’s leading business and civic figures who are at the heart of empowering the West Midlands will be debating how we secure our region’s prosperity? How can we improve our regional skills base? The session will uncover the support available to businesses and community stakeholders to improve our local engineering and digital skills base, what local powers could now help us shape our future and how we can work better together as a community.